Looking for something to do next weekend? The Calistoga Wine Experience is truly about the experience of tasting fantastic wines from more than 40 Calistoga wineries while wandering around in a sun-dappled park eating small bites that are fresh off the grill, then dancing to the tunes of Lavay Smith and Her Red Hot Skillet Lickers. If you think Lavay and Her Skillet Lickers are swinging hot, wait until you taste these Calistoga wines. 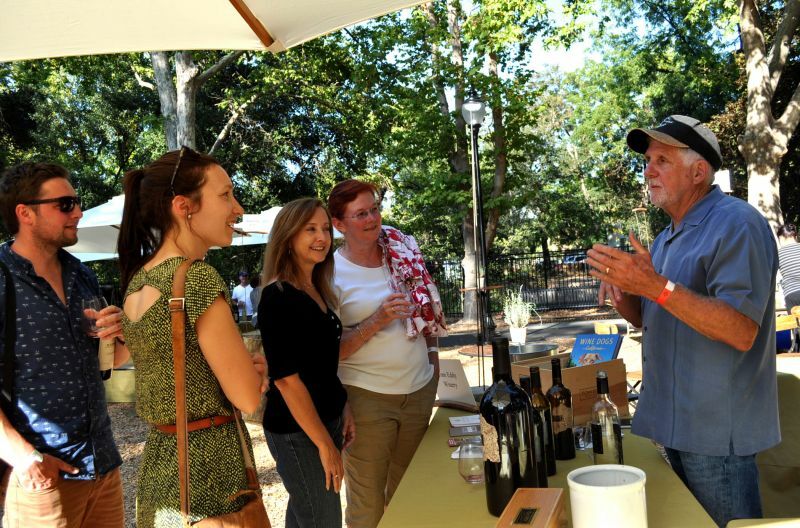 The 2nd Annual Calistoga Wine Experience, on Saturday, Sept. 9, is one of the rare opportunities where guests can taste difficult-to-find boutique premium wines while chatting with the vintner or winemaker, and often times they are one-and-the-same. New to this Harvest Table weekend event is a Winemaker Roundtable on Friday, Sept. 8, where Leslie Sbrocco, celebrity host of KQED’s “Check Please Bay Area” will lead a panel discussion with six Calistoga winemakers as attendees sample the wines the winemakers and Sbrocco are talking about. Held in newly renovated Pioneer Park along the edge of Napa River under the shade of mature trees, the Calistoga Wine Experience includes tasting wines of 41 Calistoga wineries, most of which will be pouring both white and red wines, and maybe some other surprises, plus food to nibble on created by local chefs from a large grilling station. There will also be unique wine country ice cream in unusual flavors such as lavender, or olive oil and mint. And local Calistogan Regina Carlin, known for her family recipe of toffee and other treats will pass out some of her chocolate-deliciousness. 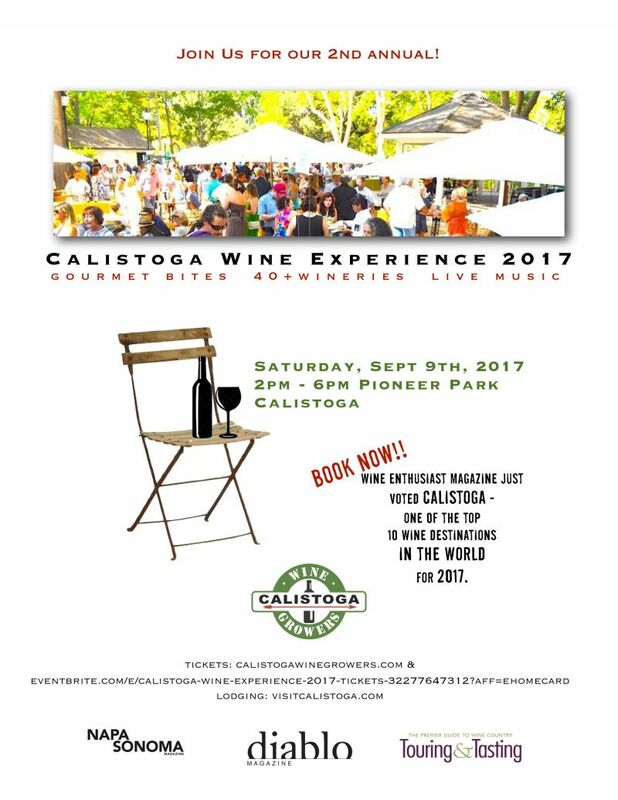 For more information, and to buy tickets for this event; please visit www.calistogawinegrowers.com.